Chuck Nazty is a homegrown superstar. Colorado Rockies outfielder Charlie Blackmon was named to the 2018 MLB All-Star Game last Sunday, his third selection as a professional baseball player. Blackmon has continued to produce for the Rockies, even through a tough June, (.277 BA, 17 HR, 41 RBI) and has become one of the faces of the team over the last couple of seasons. 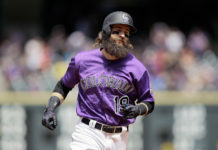 Speaking to Eric Goodman of Mile High Sports AM 1340 | FM 104.7, Charlie Blackmon says that the recent success of the Rockies is due to the team firing on all cylinders. Recently, Nolan Arenado made some comments about being tired of losing, and Blackmon thinks comments like those can elevate the clubhouse. 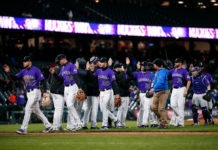 The Rockies have found a way to win some games late during their hot streak, and Blackmon characterized that as being a good team. Colorado is 7-3 in their last ten games. “I think that’s just characteristic of teams who play good baseball,” said Blackmon. 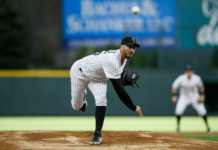 Colorado is currently in the middle of a three-game series versus the NL West-leading Arizona Diamondbacks and it might be the most important series of the year. The Rockies are currently 4.5 GB of Arizona for first place in the West. Blackmon was a legitimate MVP candidate in 2017 and finished fifth in voting for the award. He led the National League with a .331 average, recorded a 1.000 OPS, and mashed 37 home runs. Although his 2018 numbers are not quite the same, he was still named to his third career All-Star game. 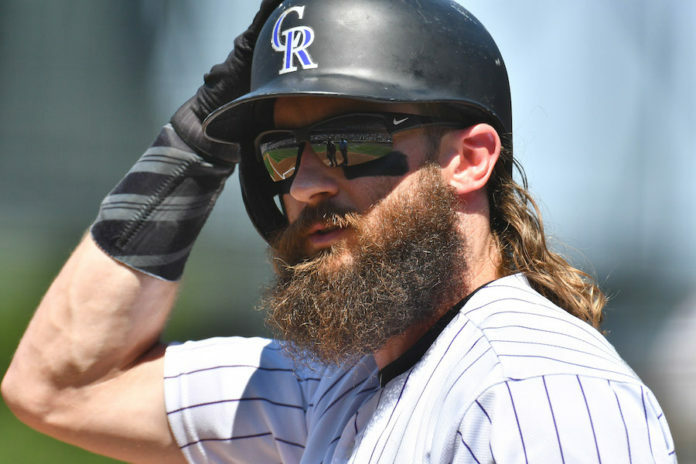 Click here to listen to the full interview with Charlie Blackmon, including what he had to say about his Colorado’s recent success and their push for the postseason.